How can we best describe the Kingdom of God? As Christians we often assume we know what the Kingdom of God is but when we sit down and try and describe it we quickly realise that we have fallen into the trap of describing it through our own cultural lens of what we perceive to be good and right. This is why our local churches often reflect the cultural behaviours and ideology of our own country. Here lies the biggest danger – we cannot fuse the Kingdom of God with nationalistic politics and ideologies. We need to reflect the Kingdom behaviour and attitude of this new Kingdom Jesus has brought in. Let’s read Luke 6:27-28, 35-36 prayerfully together. Jesus taught us to bless those who persecute us! This is a very tough command when we witness the destruction of the church and market in Peshawar - Pakistan, the attack at the Westgate shopping mall in Nairobi – Kenya, the bombings in Iraq, the murder of the agricultural students in Nigeria. Jesus taught us to turn the other cheek! This seems even tougher when the pain of the strike on the one cheek is fresh and burning. Jesus told us to love our enemies! Is this possible when the smell of burning flesh and destruction is in front of us? Jesus showed us how much he loved every wrong doer – he laid down his life and was crucified. When our own government leaders cry out for revenge, for pre-emptive strikes, for bombing to punish, for war on terror – we need to see this is not the Kingdom of God dressed up in “just war” terminology. Jesus clearly stated that those who live by the sword die by the sword. God is a just God who sees all things and justice belongs to him. The Kingdom of God is not concisely defined; instead it is a narrative with Christ at the centre. The Bible describes Jesus as the exact representation of God. When Jesus was present he describes this as “the Kingdom of God is here”. Everything about Jesus reflects the Kingdom of God and we are called to love as Jesus loved so that the Kingdom of God is present in our communities and nations. As we manifest Jesus we manifest the Kingdom of God – therefore the Kingdom of God looks, sounds, acts, loves like Jesus. Ephesians 5: 1-2: Therefore be imitators of God, as beloved children. And walk in love, as Christ loved us and gave himself up for us, a fragrant offering and sacrifice to God. We need to love as Jesus demonstrated love. 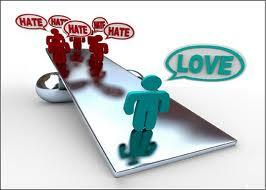 This is not just a sentiment but a choice and an action (1 John 3:17-18). We can only do this by walking humbly with God as he helps us to be like Jesus. We pray for all who have been affected and hurt by these recent attacks. That God’s mercy and love would surround each family and give them comfort and healing. We thank God for each person and each local church that has responded in practical caring ways to those hurting at this time. We need to ask God to fill us with his grace, mercy and love so we can be like Jesus to our world. Let us lay our pain, anger, frustration, confusion, hate, desire for revenge, prejudices at the foot of the cross and let Jesus carry our pain. Then let us start to pray earnestly for those who have perpetrated the recent atrocities: pray that God would reveal himself to them, that their pain and confuse and hatred would be transformed by his love. Let us also pray for wisdom and a means to bless and to be in dialogue with them so that they too may know just how much God loves them. Lord, may our leaders receive wisdom from you and seek dialogue not revenge. Lord we pray for a way that refuses violence on violence. The launch of the week of action and prayer vigils starts on the 14th October. 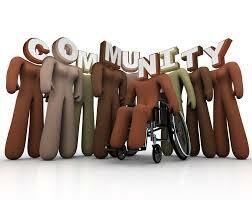 Join in with your church, your organisation throughout this week. Resources of how to engage in this can be found here. Please pray with us that the impact of this will have far reaching effects on reducing corruption. At our recent Solidarity in Disaster Management Consultation in Manila, we discussed the importance of doing more than simply reactively responding to disasters, or even trying to reduce impact by looking at risk reduction but to start with the vision of a community living life in all its fullness. When the local church starts with this vision, it will already be engaged in the community, getting to know its needs, its strengths and gifts, its people. Understanding the vulnerabilities of communities and already working to strengthen and reduce these means that the church can become an important serving part of the community, so that if / when a crisis occurs they will be well placed to respond alongside other responders. How well do we know our own communities? Do we know who are vulnerable? Let us take time to walk around our own community this month, asking God to open our eyes to those around us and to get to know who lives there. Pray for opportunities to be salt and light in your community and start by praying for it regularly. 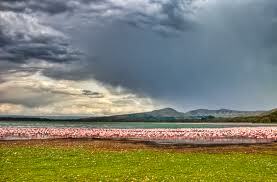 For anyone who has lived in Kenya you enter into a deep appreciation for this beautiful county. Scientists often refer to Kenya as the cradle of humanity because palaeontologists have discovered some of the earliest human remains in the famous Rift Valley. Today, Kenya is seen as a regional / continental hub for mission, humanitarian aid, political engagement and influence. Amazingly nearly 50% of the population would identify themselves as evangelical Christians, with a massive 82% of population saying they Christian. With a diverse population of around 43 million people, made up of 108 ethno-linguistic groups, Kenya has attracted a significant number of tourists to enjoy the beauty and diversity of this country. Though there are important agricultural, industrial and other income generating activities in Kenya, tourism is a vital part of the economy, and so when atrocities such as the one we have just see occur in the Westgate Mall are beamed into every household around the world, the domino effect could be far worse for the country when tourism is impacted negatively. Let us take time to pray for the image of Kenya in our world, that investment and tourism and economic growth would be protected and improve even in the light of recent events. Pray for the restraint and wisdom of the media and the politicians as they work through the issues arising. Lord, we ask as you to shine your light on Kenya and bring favour to this nation we pray. Leadership: Kenya is a Republic, becoming independent from Britain in 1963. President: Uhuru Kenyatta became President in April 2013. Uhuru is the son of the first president of the state of Kenya (in 1963), Jomo Kenyatta. Uhuru chosen William Ruto as running mate for his campaign this year and named the alliance between them “the Jubilee Alliance”. Uhuru is from the largest tribe in Kenya the Kikuyu and William is from the Kalenjin tribe. Both were at the centre of December 2007 political violence that claimed over 1,500 lives. Their involvement remains under investigation by the International War Crimes Tribunal. • Uhuru is recognised as one the wealthiest people in Kenya, benefitting from the huge business empire his father established. In spite of his wealth, the first televised election debate revealed a man who was able to joke and use every day colloquial jargon / language that the average Kenya would be able to associate with. • The long awaited new constitution was voted in in 2010 with an overwhelming majority, indicating the longing from the Kenya people to see change for good. • June 2013: the British government formally acknowledged the atrocities committed in the 1950’s against the Mau Mau uprising and apologies, committing to compensation. Lord, so much political change is happening in Kenya. We thank you for the new constitution in 2010 and the peaceful elections this year. 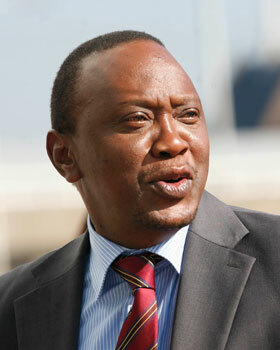 We pray Uhuru Kenyatta as he seeks to lead this nation through these challenging times. We are thankful for the recognition and apology extended by the British government to Kenya and pray that reconciliation and the healing of ethnic wounds would extend throughout the country. 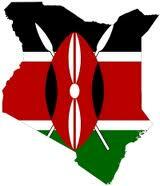 Lord we pray for a united and healing nation of Kenya. We pray for solidarity and love to seep deeply into each household. Thank you for the response of many who came to serve those affected by the recent attack in the Westgate Mall, those who gave blood, who reached out to one another. The country has been rocked by on-going corruption and fraud scandals which have left the country with chronic budget deficits. In 2006 there was a request from the World Bank and IMF to deal with this corruption and a temporary cessation for future loans, but these have resumed with little change in dealing with the corruption. Unemployment is currently at around 40%. Recent discoveries of oil in Kenya may help, but this will all depend on whether a small group of people hold all the money and keep Kenya locked in corruption and the struggle to get out of poverty. • The struggle for good harvests as droughts and food shortages impact many. We pray for good rains and productive harvests so that this nation not only supports itself but can care for the many refugees that survive on its borders. • We pray for business investment that will create much needed jobs and support the development of Kenya. Lord, reveal those who would exploit and steal – may your light shine on their deeds so as to root out the corruption that holds this country back. Social: Over 40% of the population are under 14 years of age. Education at primary school level has been improved but many children still cannot continue onto secondary school. Only 6% of Kenya’s GDP is invested back into education. The urban slums are home to over 100,000 street children. Let us take time to pray for the ministries for children in Kenya and for the all those involved in the education system. Faith: Kenya has a remarkable number of Christian ministries and missions based there. The impact of the church can be seen and felt everywhere which we can thank God for. At the same time we want to stand with the church in its role to reflect Jesus to all, through love, integrity and grace. Let us pray for the leaders of churches and Christian organisations, that they would lead by example and through service, demonstrating Kingdom values. Especially in their response to the growing fear of radical Islamic fundamentalism. May they be the ones to reach out to Muslims in genuine love and friendship, seeking to work towards a united Kenya that stands together in times of crisis. Lord we thank you for each member and contact in Kenya and for your hand on their lives and their ministries. We pray that we may be blessing to them as they are to us. We ask you to raise up leaders for mission and for Kenya to become a catalyst for transformation in this region. IAS (International Aid Services): are members of Micah Network, with their head office based in Sweden. Three of the Kenya country team have been held as hostages in Somalia since July 2012. They are: Janet Muthoni Kanga, Martin Mutosya Kioko and Abdinoor Dabaso Boru. Please earnestly pray for a break though in this situation and for these three people to be returned safely to their family. Pray that the Kenyan government would take initiative to work out a solution. Do hold these three and their families in your prayers. In 2009 Kenya hosted the Micah Network Triennial Global Consultation entitled: Creation Stewardship and Climate Change. Resources and information about this can be found here. A Micah Declaration on this was published. Let us pray that Kenya applies clear creation care guidelines to keep their country beautiful. Pray for the learning, sharing and networking at each event to be rich and life changing. Please also pray for the safety of all who are involved. Don’t Bomb Syria: thanks to all who joined us in praying for Syria last month – lets spend some time in thanks giving for the amazing turn around we are seeing in Syria regarding this and the decommissioning of the chemical weapons. Continue to pray for this to be genuine and thorough. Pakistan: what a painful time is being experiences by this special country. Pray for all those affected by the bomb blasts at the church and market in Peshawar. The massive earthquakes that have hit Balochistan - access to those in need is being restricted because of insecurity. Pray for access and for the welling being of those affected. Let us continue to hold Pakistan in our prayer seeking God for his intervention.